As a group we were given a tour of a silk rug factory. 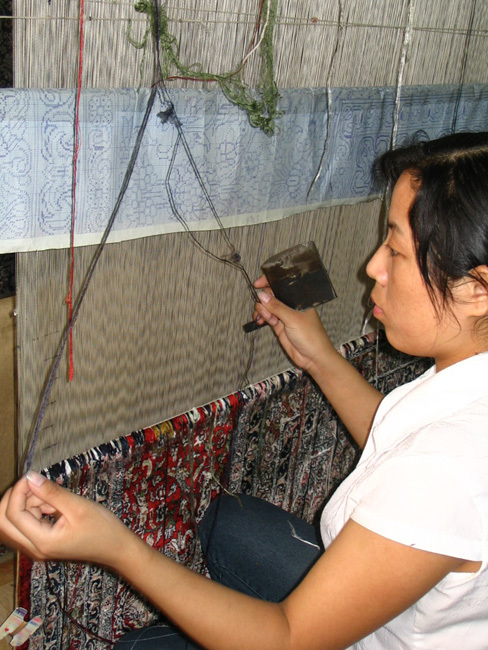 We learned that it takes years to make a silk rug by hand, that there are several levels of quality of silk rugs, and saw a demonstration of silk rug making in progress. The rugs were beautiful and the people there are all very helpful.